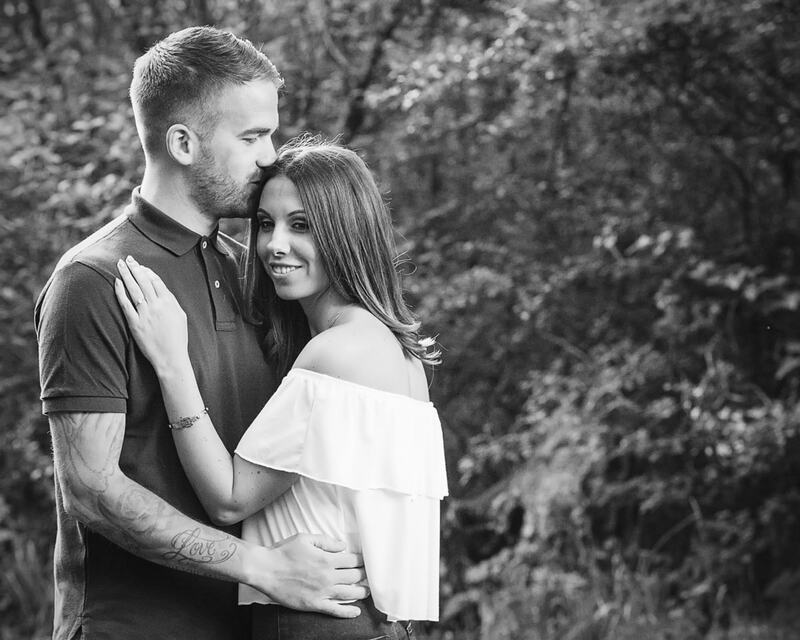 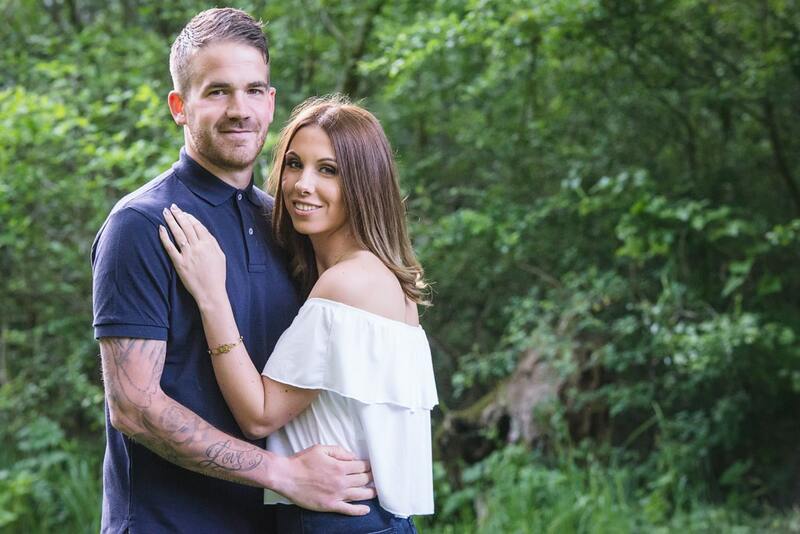 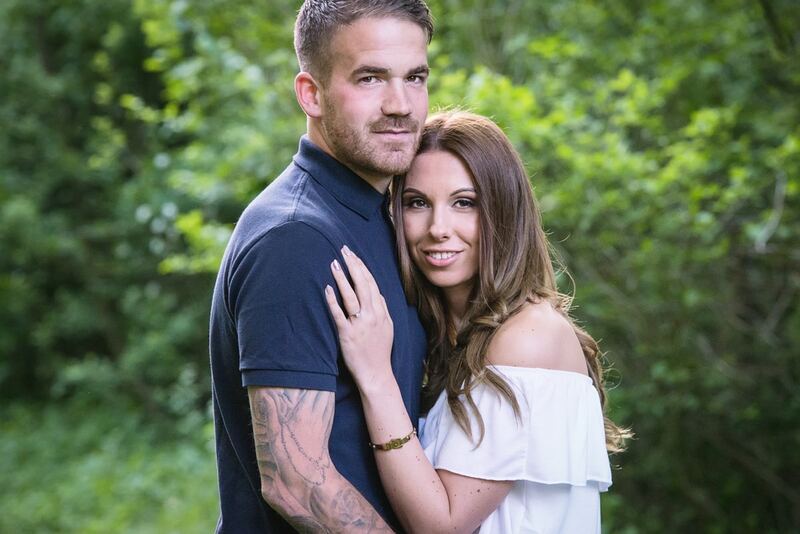 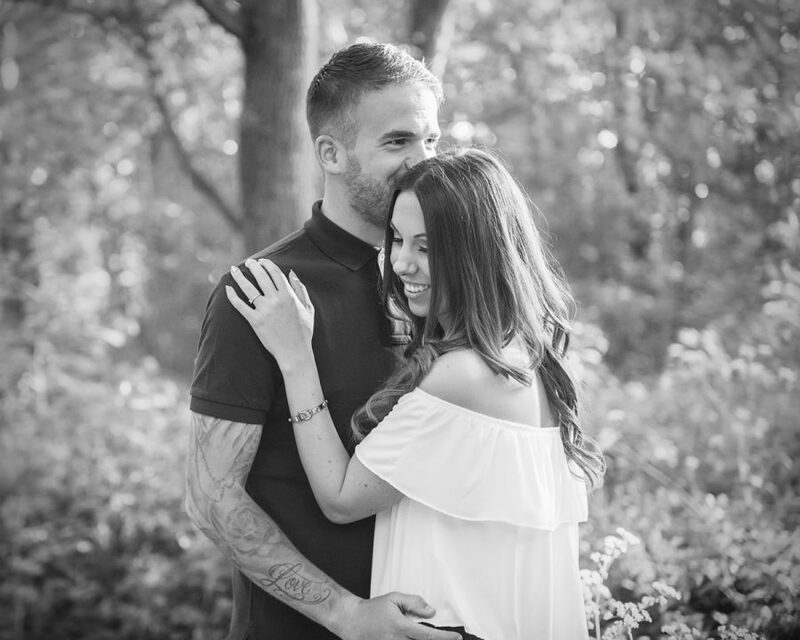 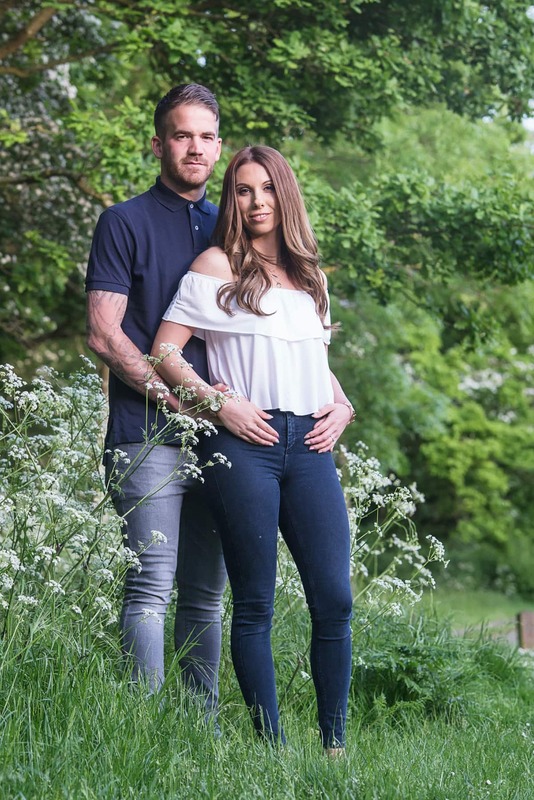 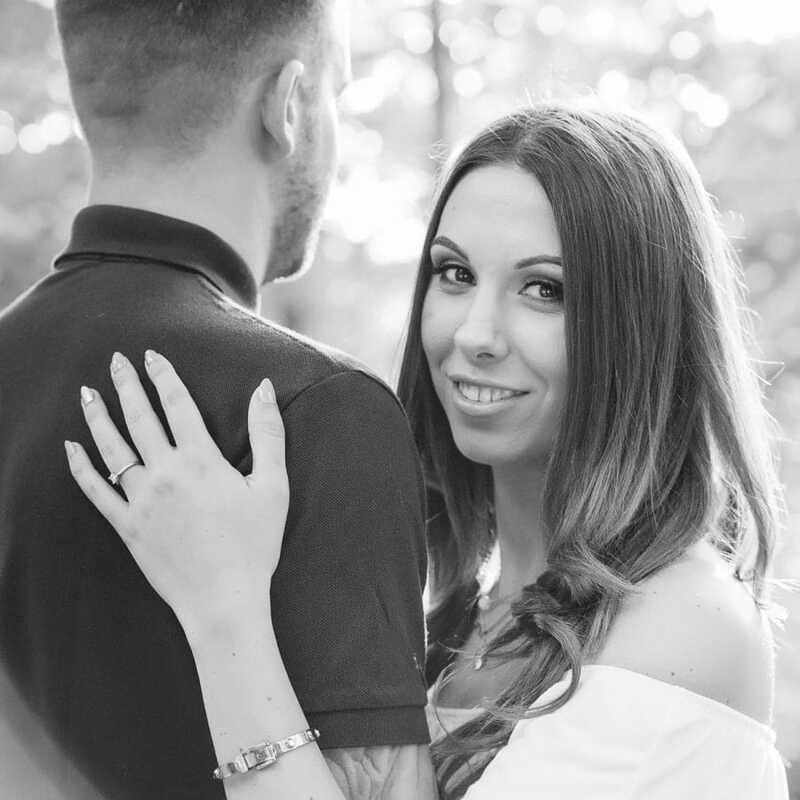 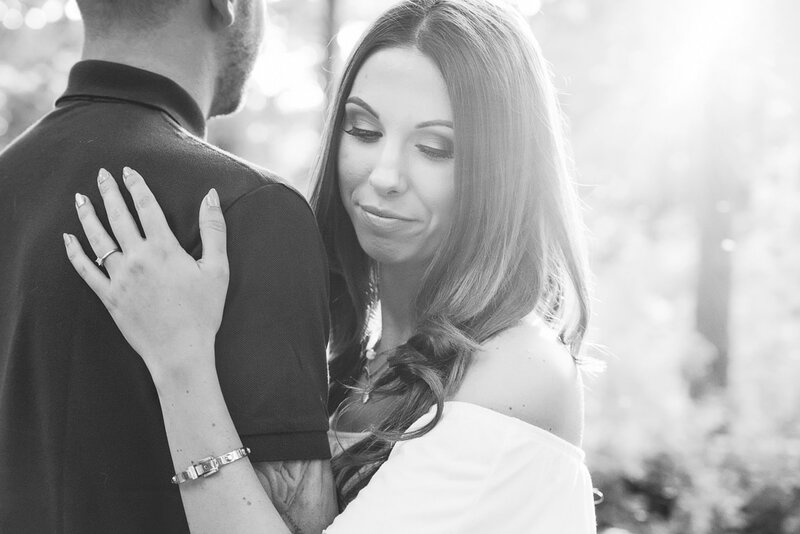 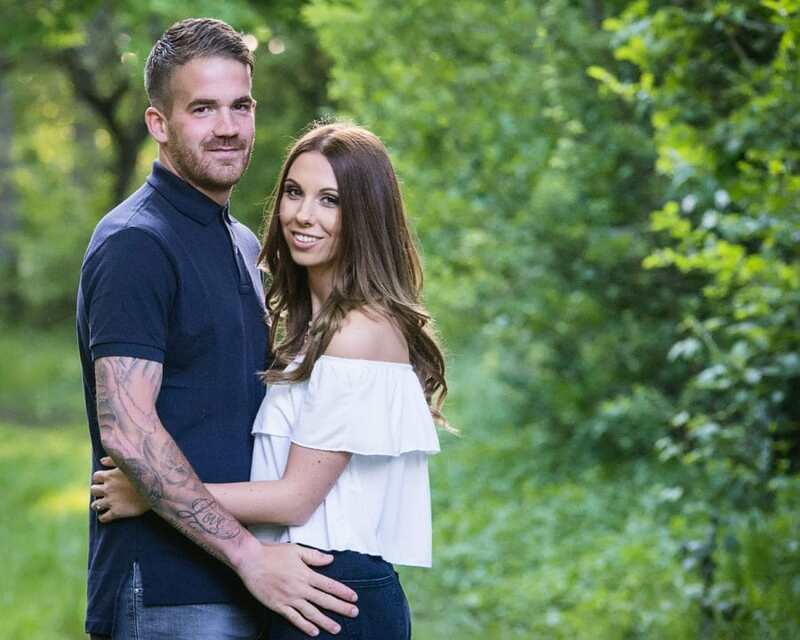 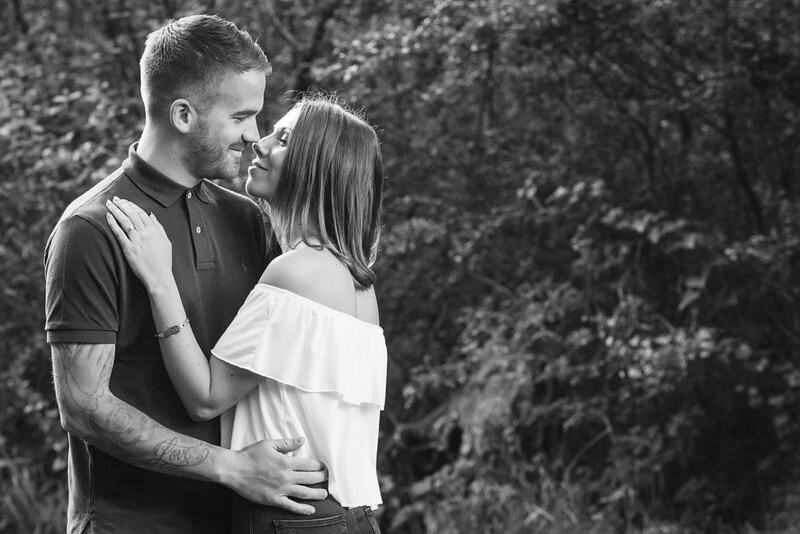 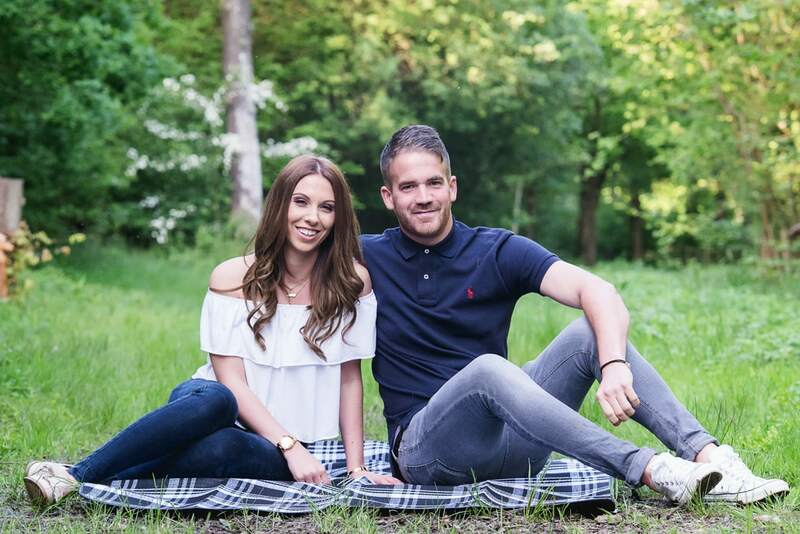 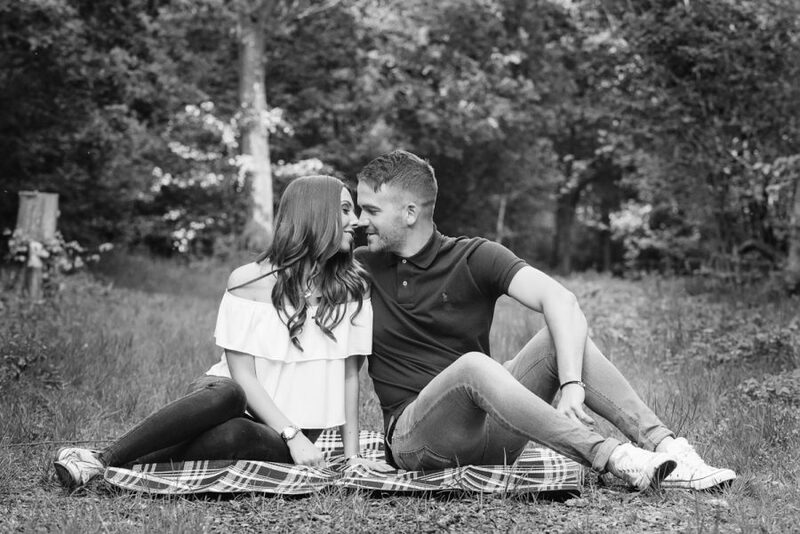 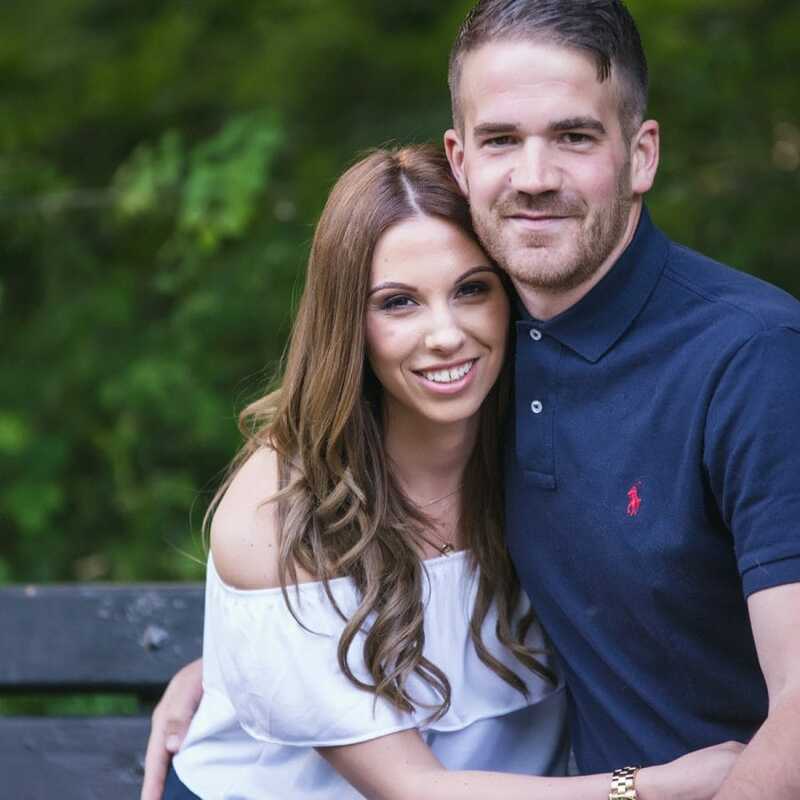 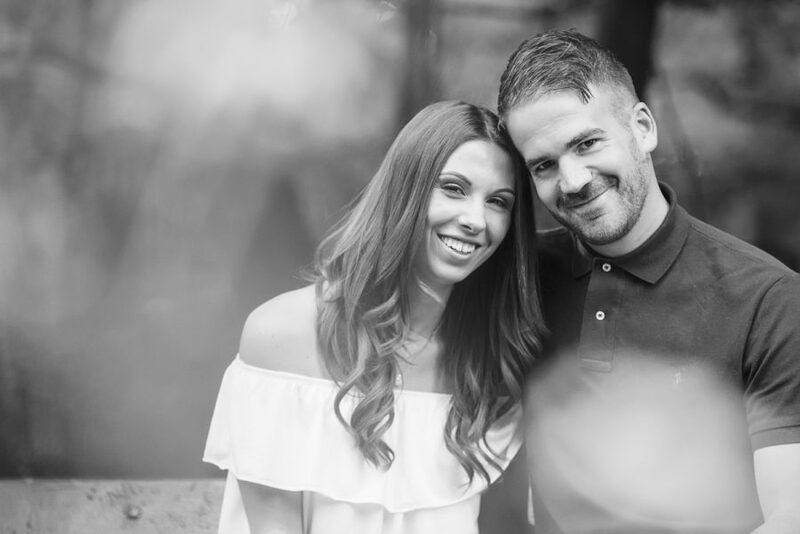 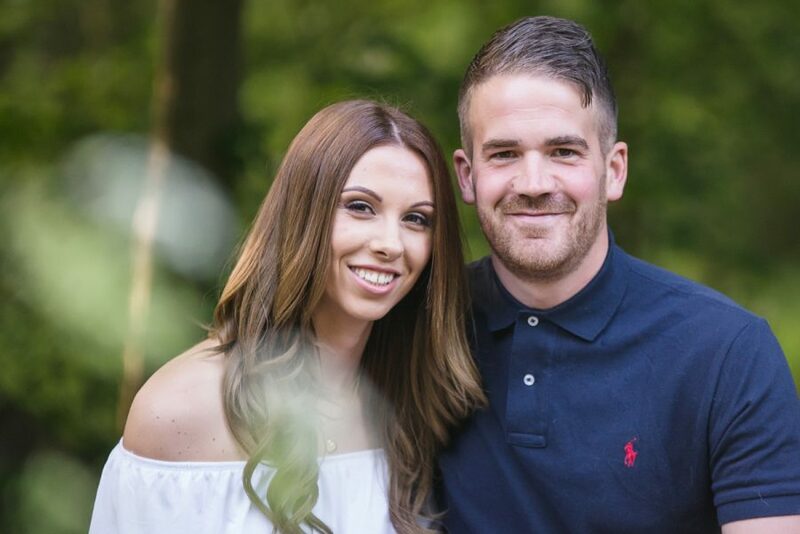 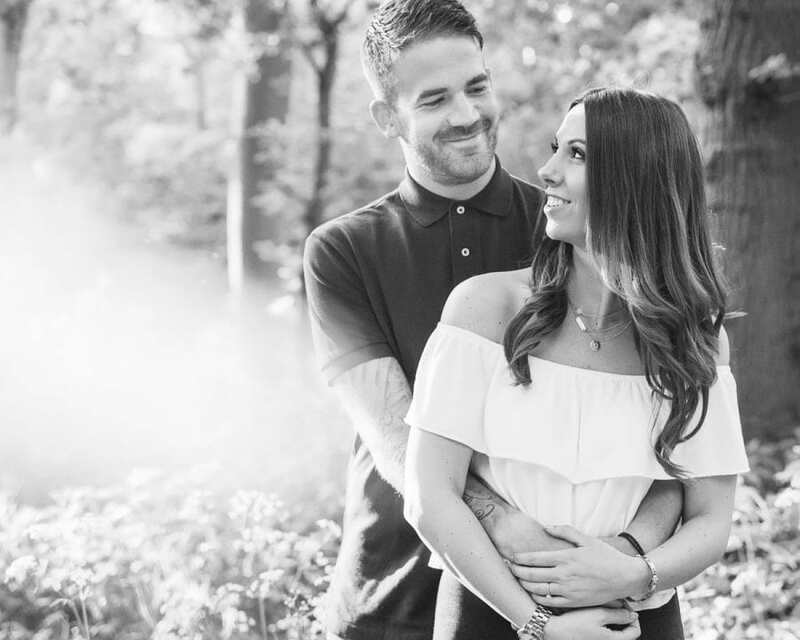 Danielle and Josh decided to book an engagement session because they were looking to get some photographs to decorate their reception venue. 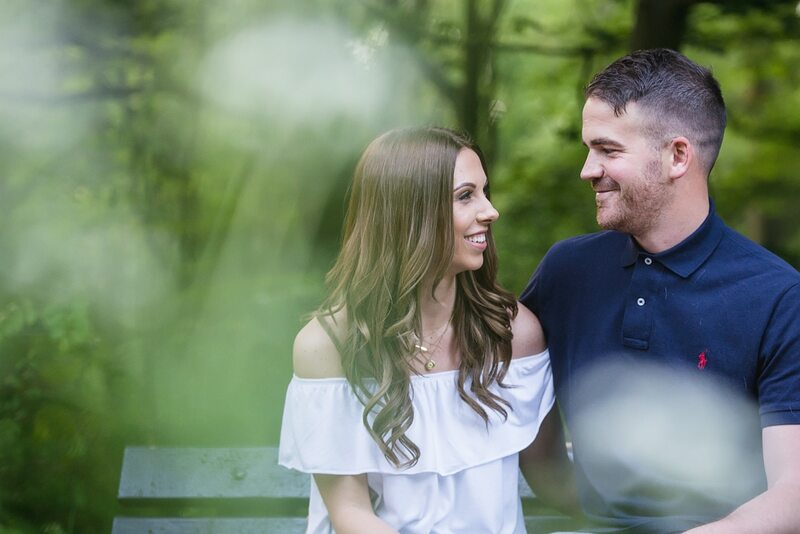 Engagement pictures also work really well as save the dates, in signing books and it’s also a great opportunity to make you feel a bit more comfortable in front of the camera. 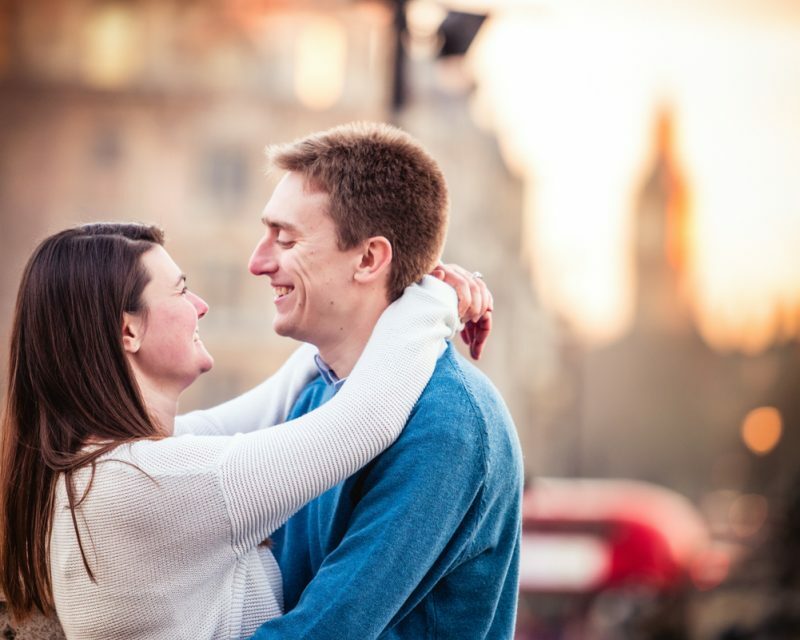 The shoot took place on a warm August evening just before sunset. 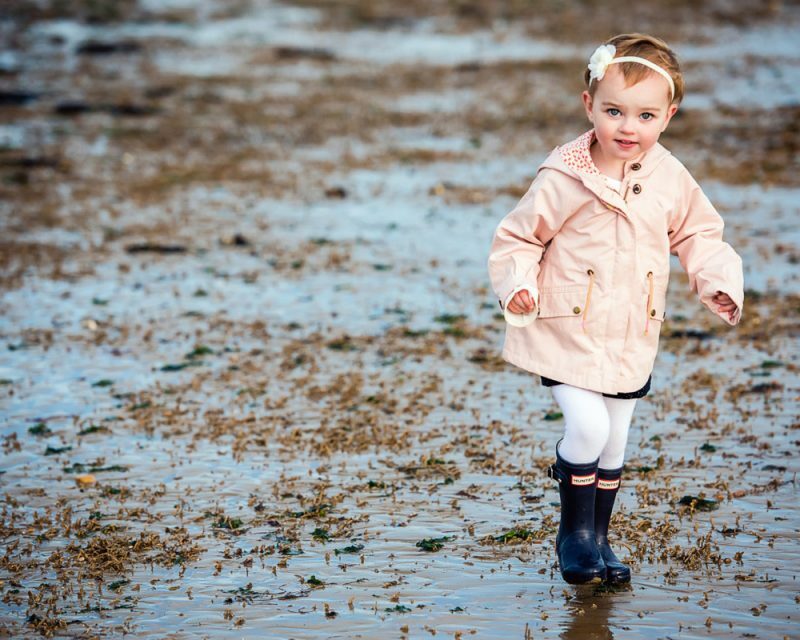 This is my favourite time of the day to work as the light is a lot softer and much lower in the sky. 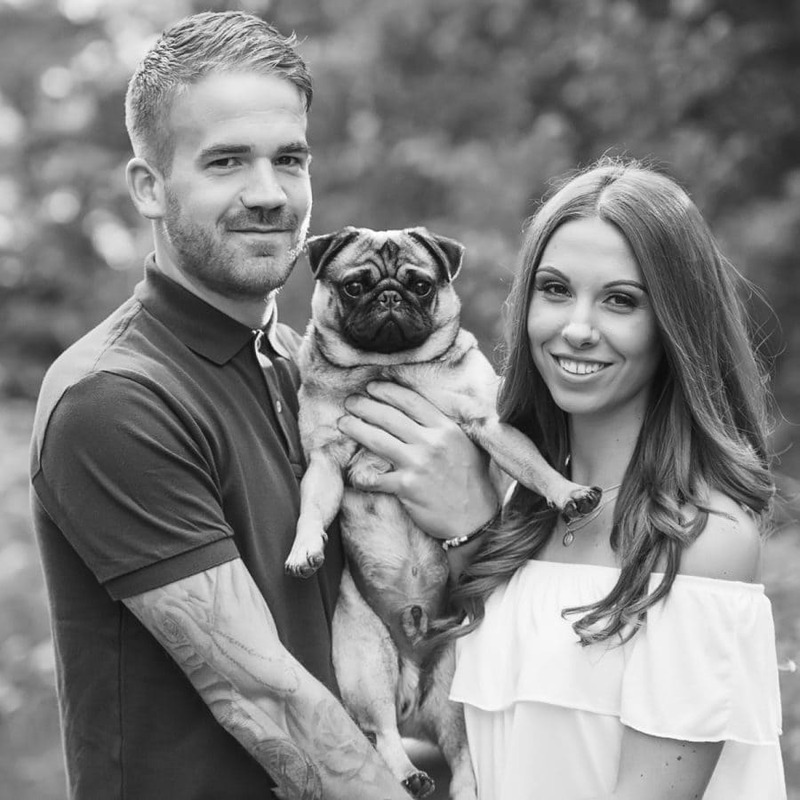 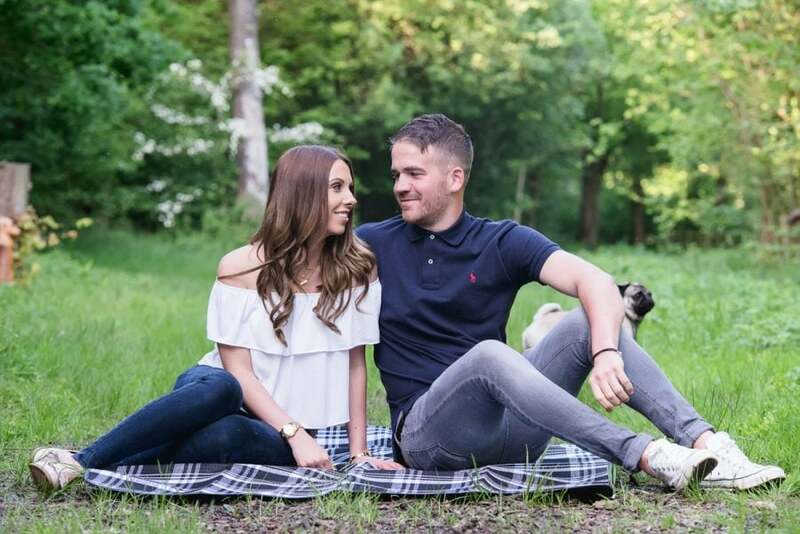 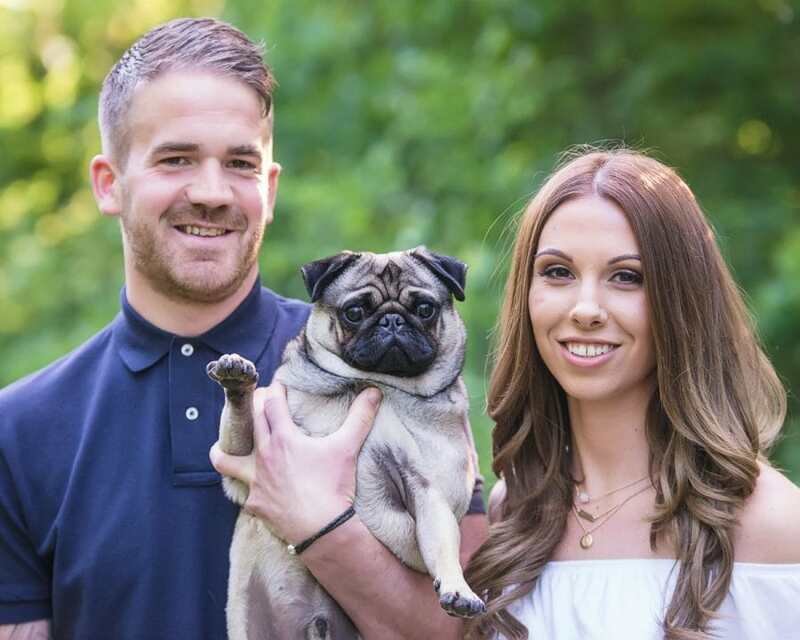 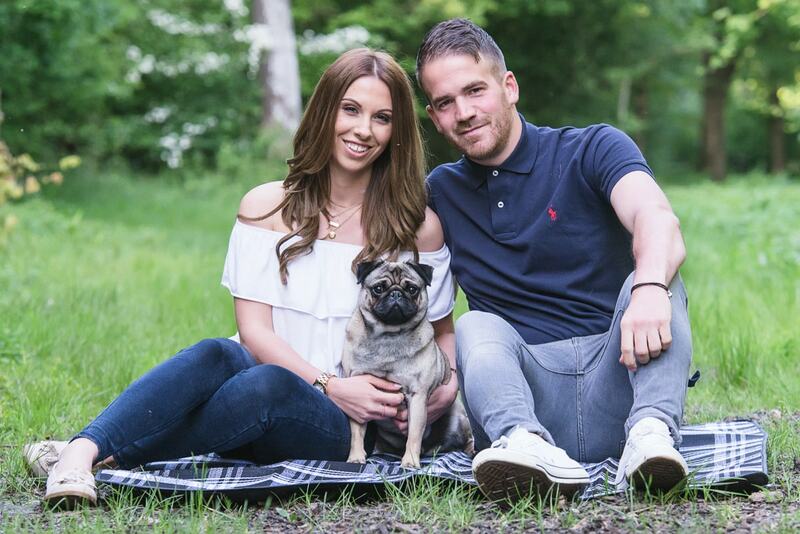 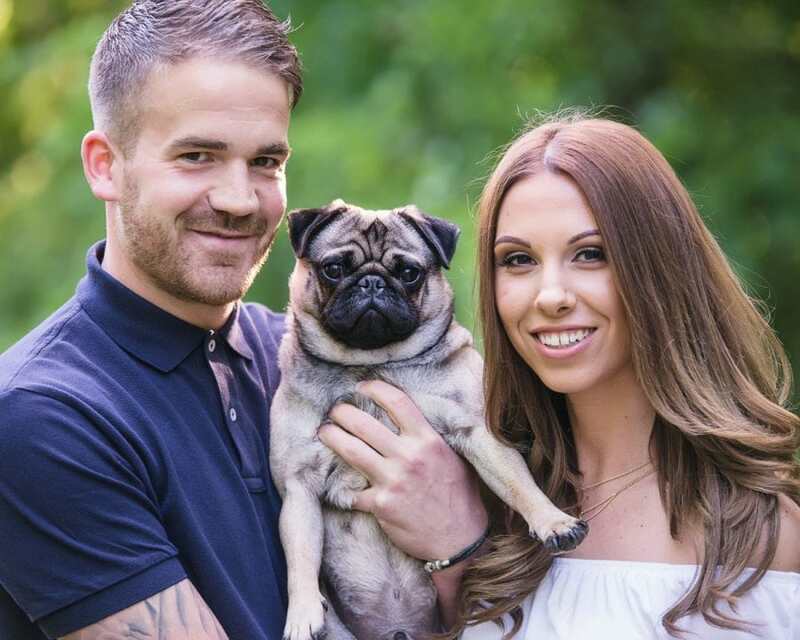 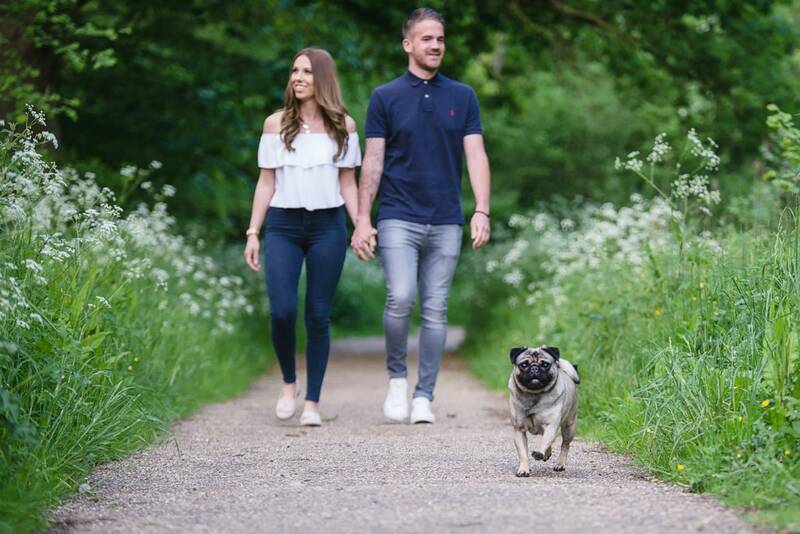 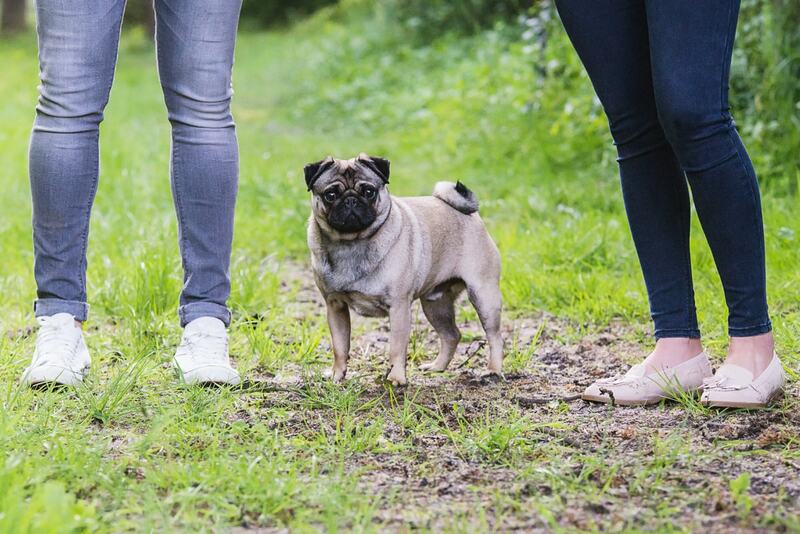 We went to Linford Woods in Milton Keynes and Danielle brought her gorgeous little pug Lennie along…I love incorporating pets into engagement sessions! 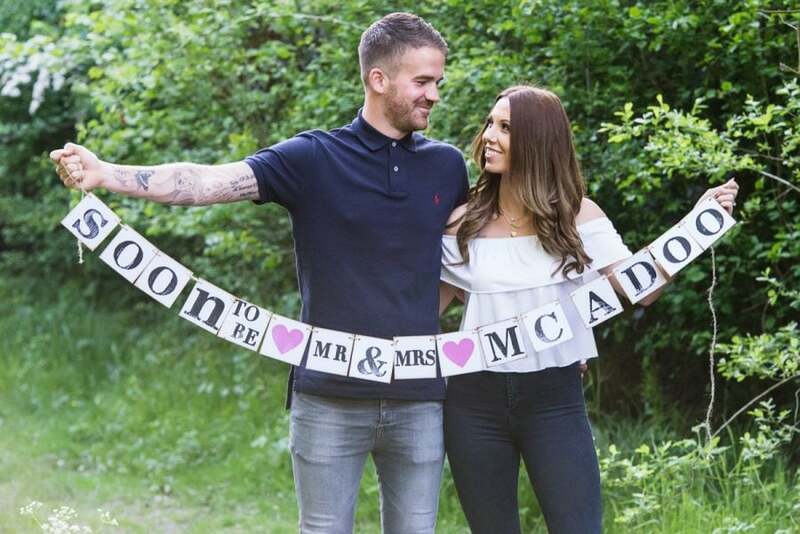 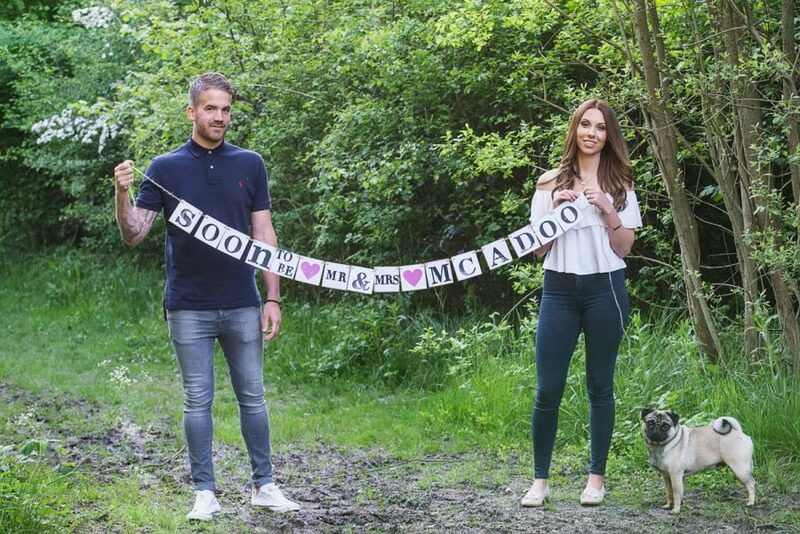 They also brought a picnic blanket along with a ‘Soon to be Mr and Mrs McAdoo’ banner (this would work really well for save the dates). 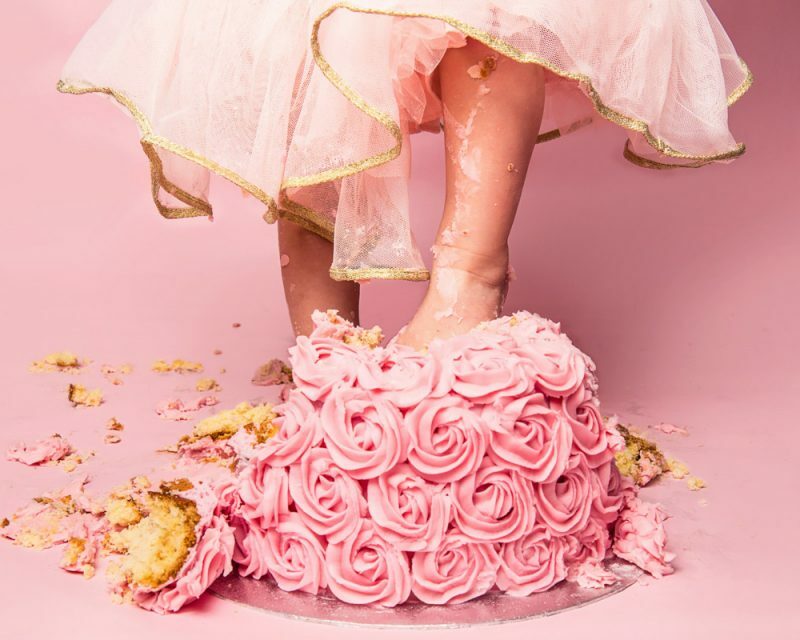 We got a beautiful mix of funny and romantic images and I can’t wait to photograph their wedding at Flaxbourne Gardens in August!